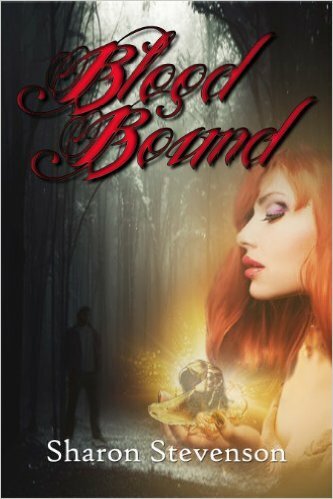 Blood Bound is the bestselling Scottish urban fantasy novel that combines a breakneck plotline with flawed characters and a wicked sense of humour. Collective hissing from the darkness set Shaun’s nerves on edge. There were a couple more than he’d first calculated and of the twenty presences in the room, every last glowing eye was locked on the petite blonde who’d just crashed the party. Not one of the creatures appeared to sense Sarah’s lanky brother glowering at them with his one real eye from the shadows beside her, the usual case when she was around shining too brightly to be ignored. Shaun half-thought Sarah did it on purpose; she worried far more than she should. He shifted the stake in his hand, ready to strike, and looked to Sarah. The vampire she held weakened under her touch. He looked up at her with tears streaming down his undead face. Blood stained his slack mouth. The human girl he’d been feeding on lay dying on the floor under the cover of shadows, her drained body past help. The girl’s life-force was ebbing away and yet the sympathy overflowing from his sister was being extended to the monster she held, for the awful things that had set him on this path. Shaun frowned at her. The vampire sobbed at her feet, clinging onto her slim legs. She pulled back, but only to crouch down beside him. The other eyes only watched, unblinking. “Ssh,” she whispered, stroking the side of his face. He shivered under the direct touch of her skin to his. His fever-bright eyes sank into her black-hole gaze. She had the sword in her hand before any of the vampires could react. The blade sliced through her chosen one’s neck, unmaking him in an instant. The smoky burnt-out mulch his body collapsed into seasoned the air. Shaun held his breath, trying vainly not to inhale any of the gunk while it still clung to the atmosphere. The stillness in the room started to unnerve him. The captive undead audience poised to strike, ready and remorseless. Sarah wiped off her sword and looked up, death in her gaze. 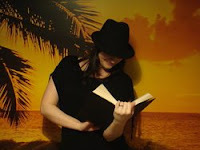 Sharon Stevenson is the twisted mind behind The Gallows Novels and the brand new After Death Series. If you want to know a bit about her, here it is: She spends too much time indoors and probably watches too many horror films. Some of her favourite things are; Alone time, people who know when to shut up, having a drink, eating pizza (usually after having too much drink the night before), reading books, adult swim cartoons, bad horror and sci-fi movies, proper good TV shows like Dexter & The Walking Dead, and last but not least having a laugh with her hilarious other half – this would usually include some of the above.